Designed to help prevent chain drop. 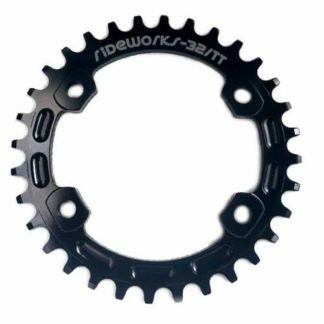 The unique tooth profile with alternate thick thin teeth provides more contact area with your chain to reduce the chance of a drop. 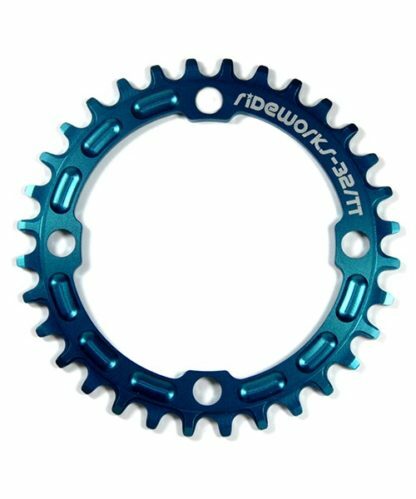 All our chain rings are HARD anodised giving them 10 times the wear resistance of many similar chain rings. 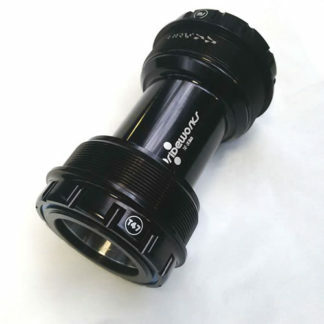 Fit to your XC, Enduro, downhill, or free ride bikes. 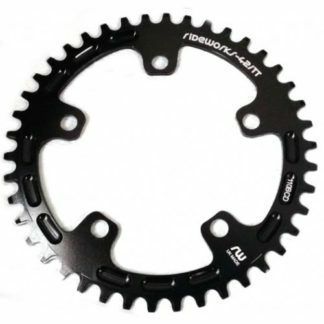 Fitting a narrow wide – thick thin chain ring can negate the need for a noisy chain device. 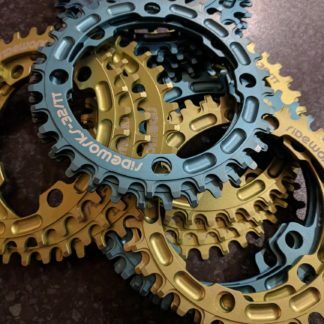 If chain retention is what your after then look no further this chain ring dose exactly that and the quality is top notch and the finish is amazing better than some of the big names out there top work! Great wear resistance, been running one for awhile now and still like new . The finish is awesome and high quality. Would recommend to anyone who wants to go 1*10. Home grown as well makes it that bit sweeter. 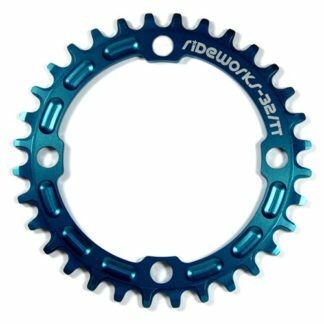 A fantastic N/W ring that looks stunning and performs faultlessly through various riding conditions and has not dropped the chain once and the hard anodising is some of the best I have seen. A* Highly recommended! Running this ring on a rigid bike with a standard, none clutch, shimano XT long cage 10 speed rear mech. Has worked faultlessly. Have not lost the chain once. A really nice piece of kit, very happy with it. Perfect chain retention from this chain ring of fine quality and good looks ! Works a treat, no dropped chains and the finish still looks fresh after some abuse on sandy trails. A pleasure to buy, install and ride with.